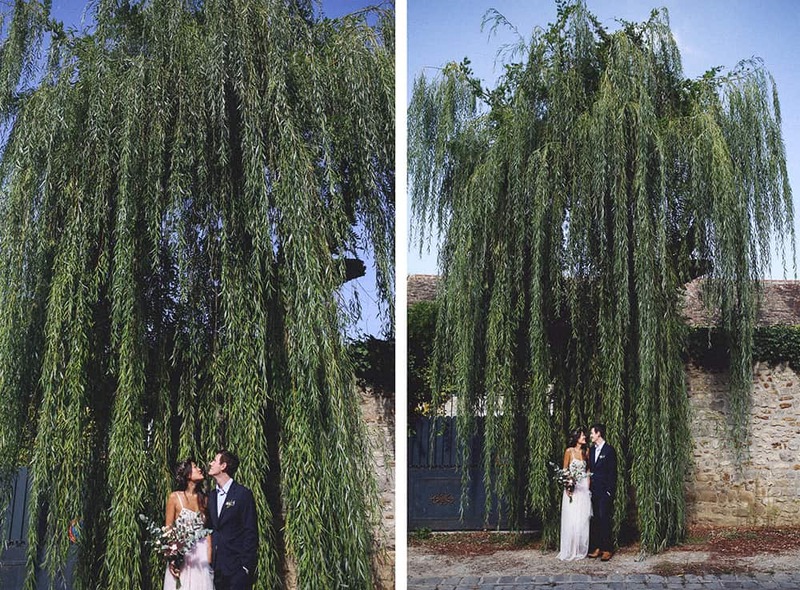 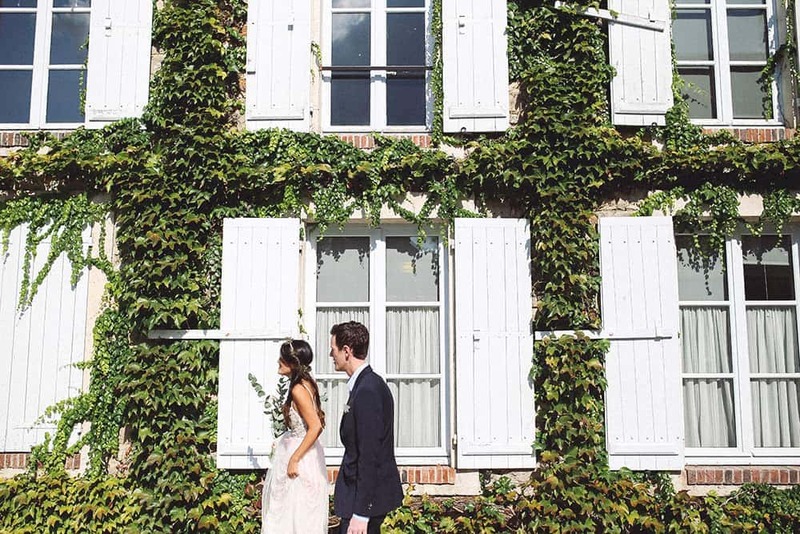 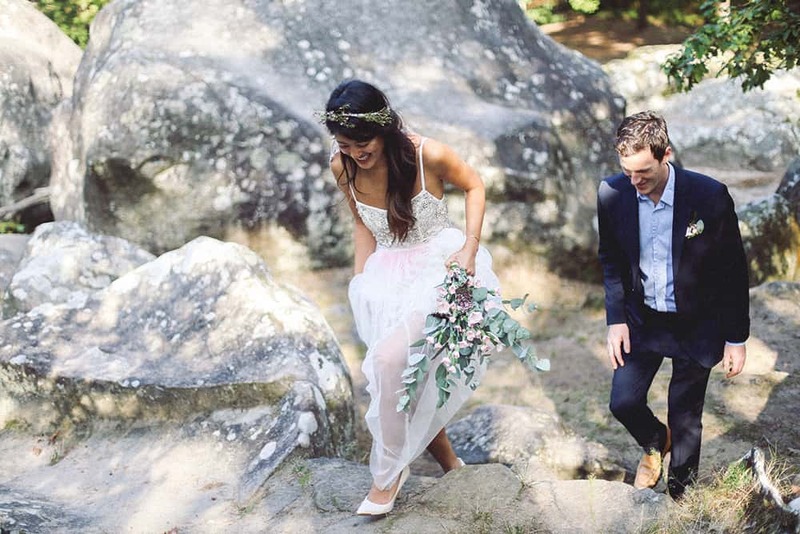 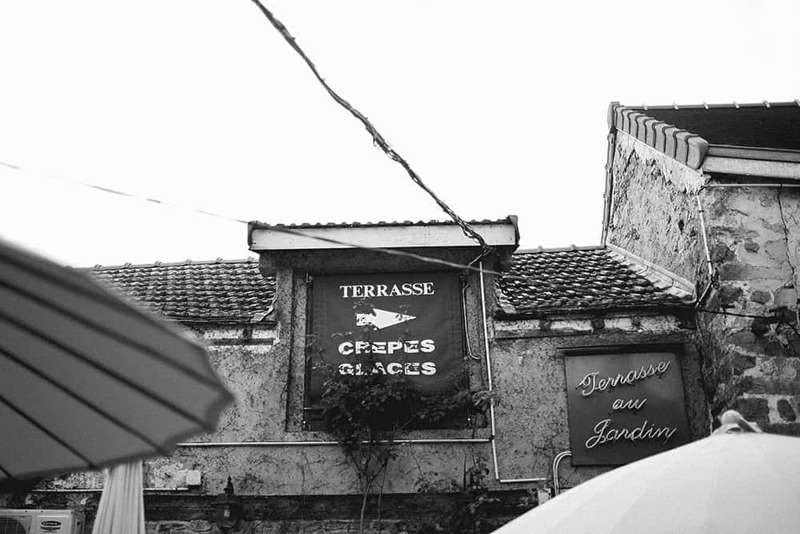 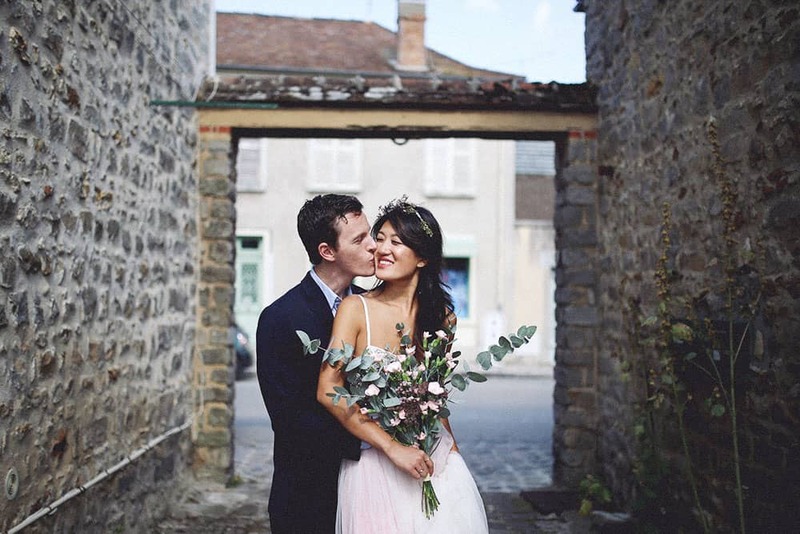 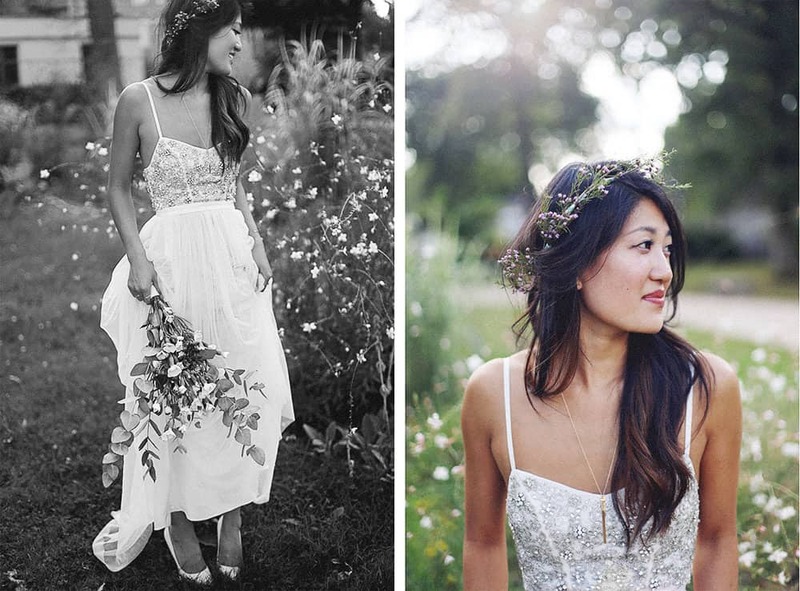 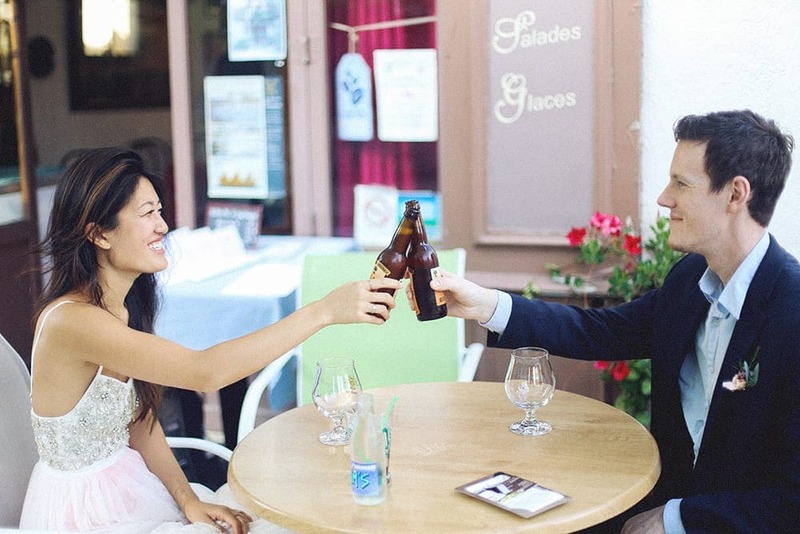 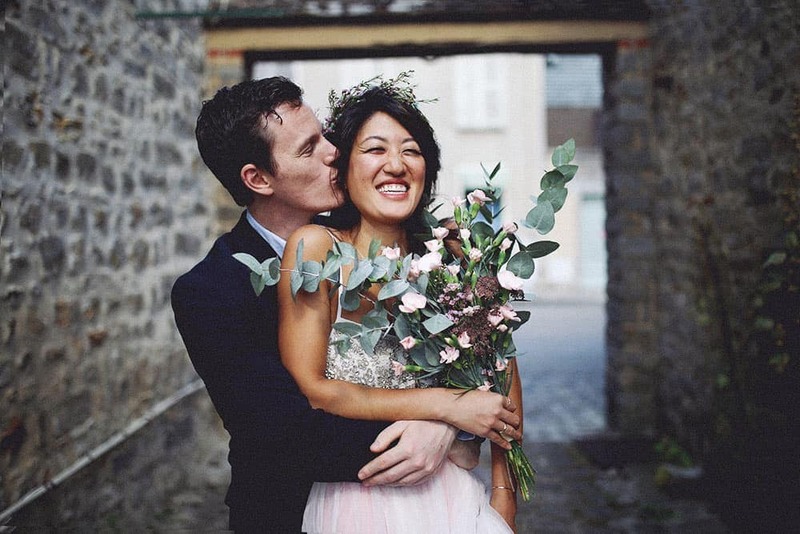 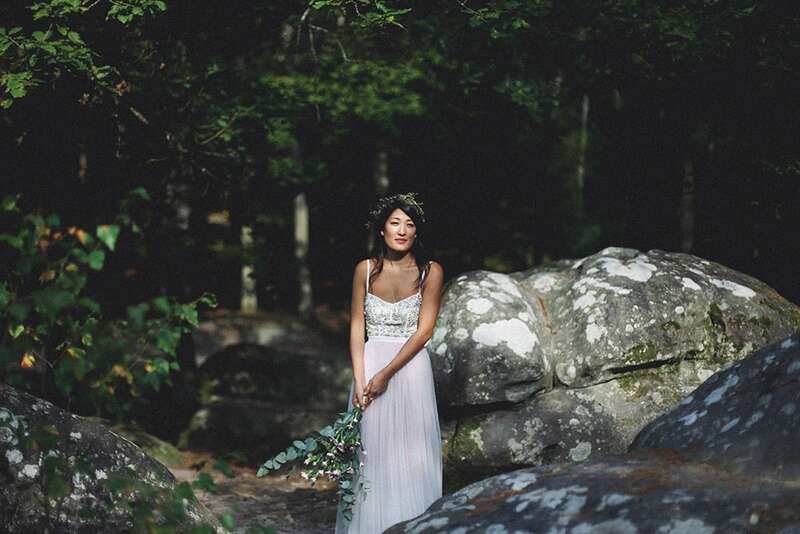 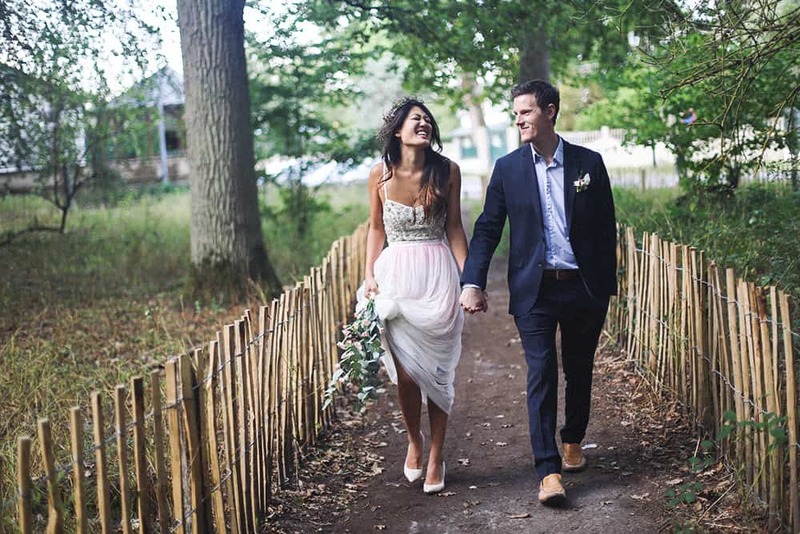 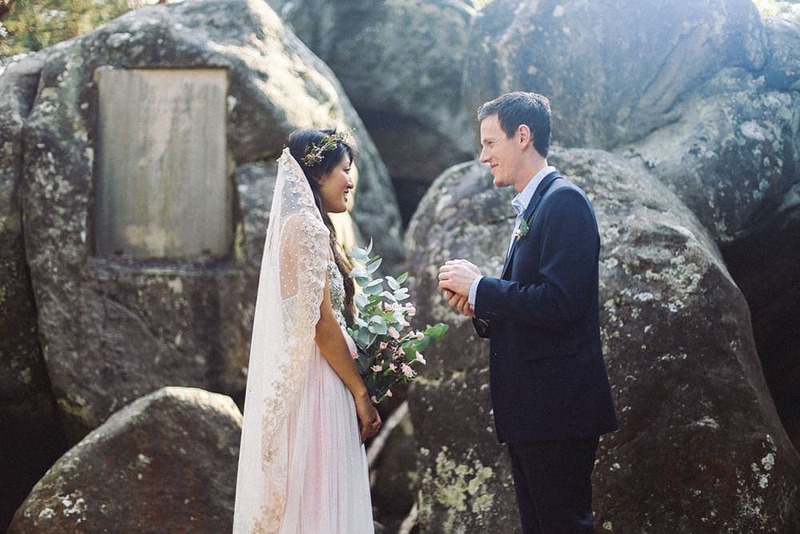 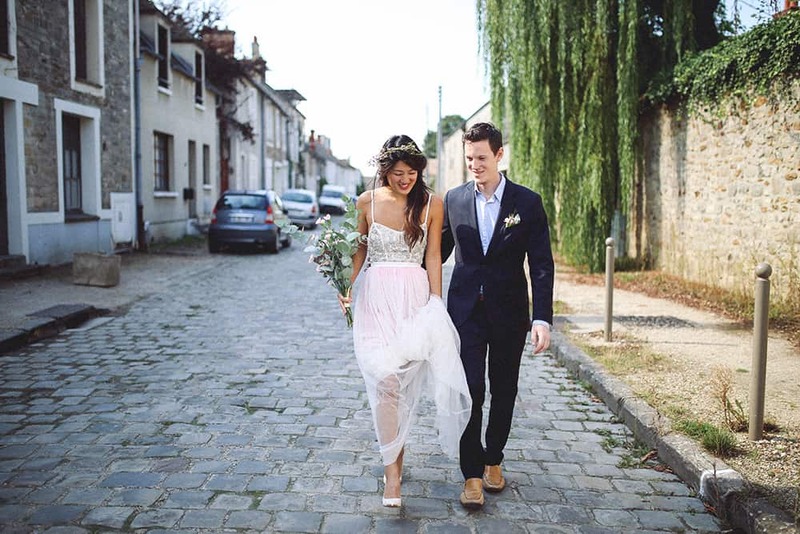 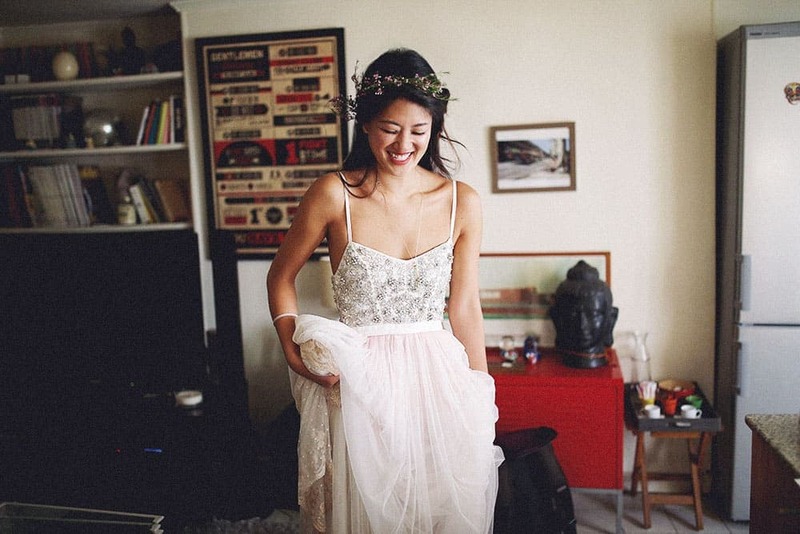 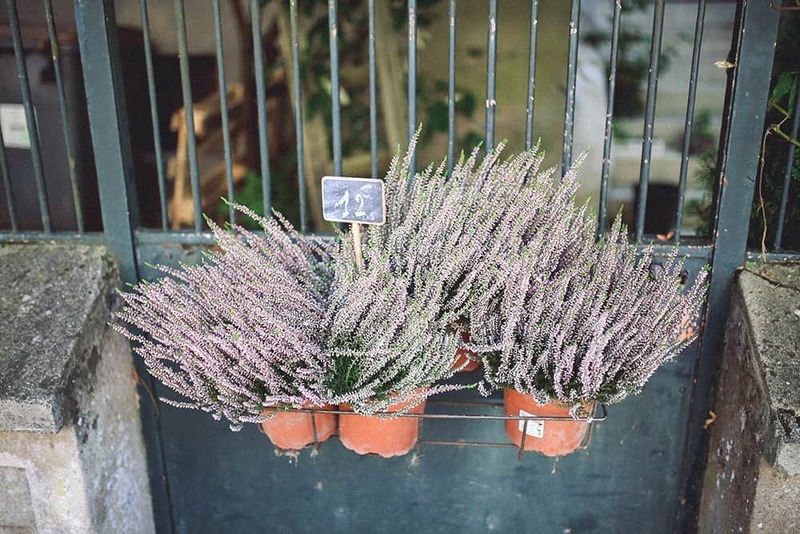 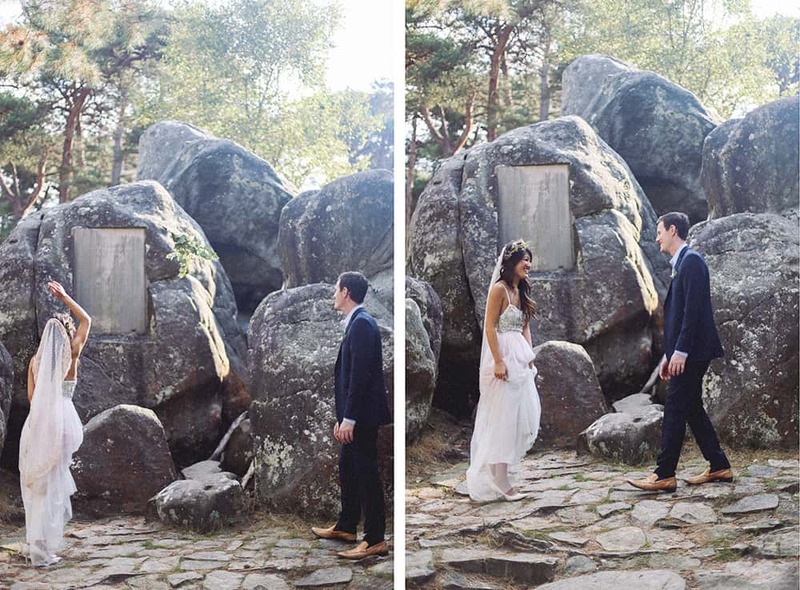 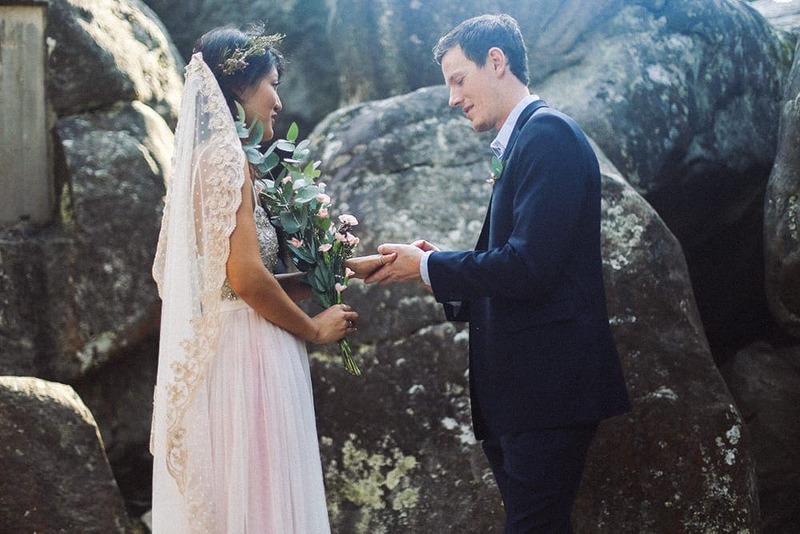 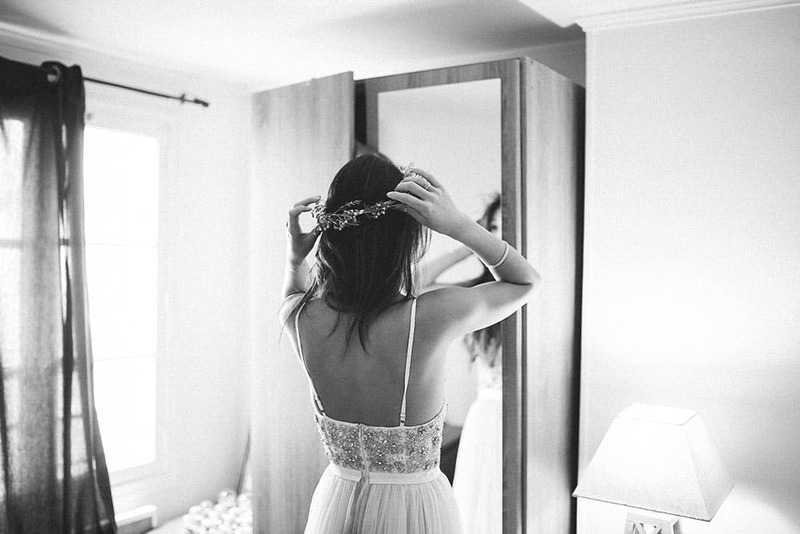 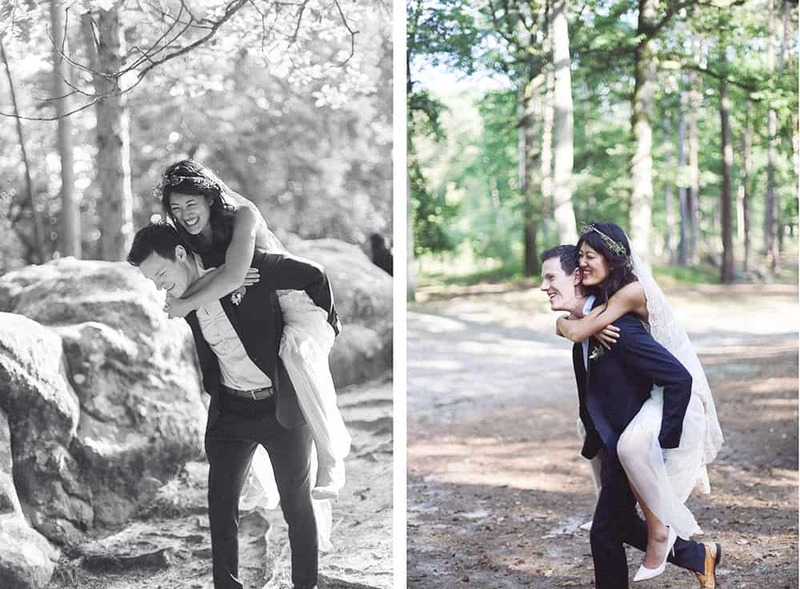 Sarah and Stanley had the sweetest elopement in a French Village, Barbizon. 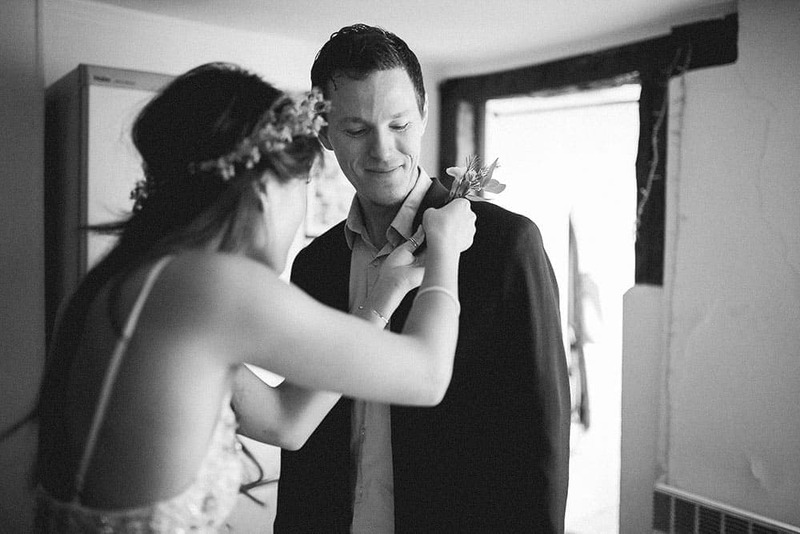 When Sarah contacted me, I was packing for a trip to Scotland, which started the next morning. 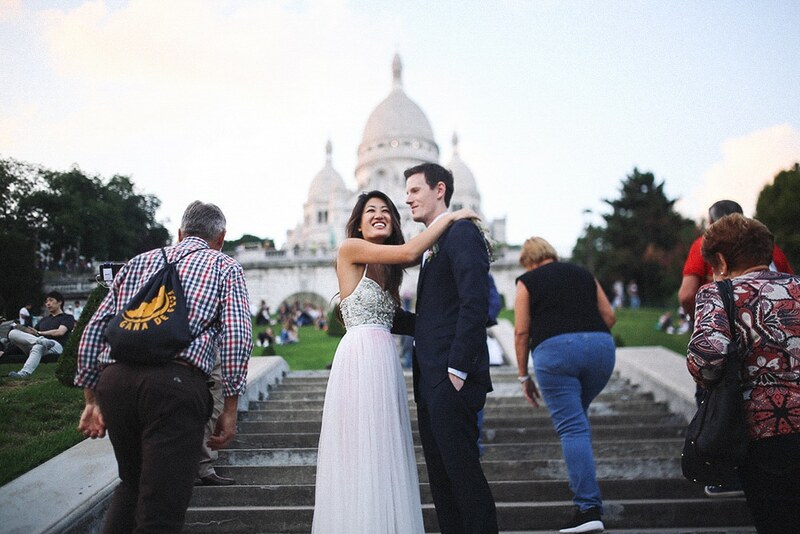 She and Stanley were getting married in Paris a week later, and was wondering if I was available. 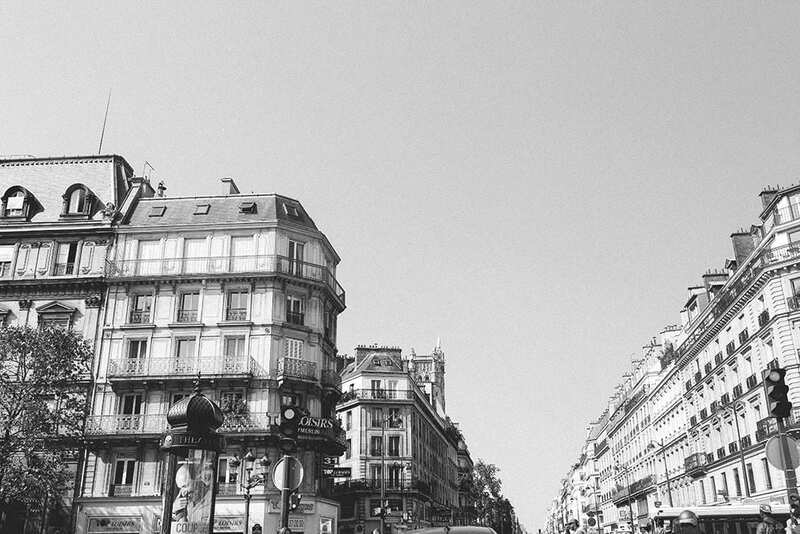 Scotland being an hour by plane from Paris, I didn’t hesitate one bit. 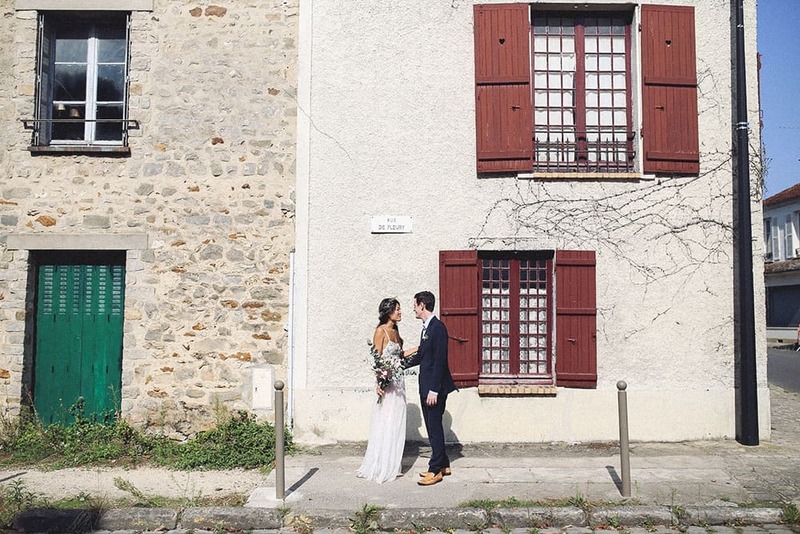 So just like that, I shot my very first wedding in my own hometown, with the cutest, sweetest people ever. 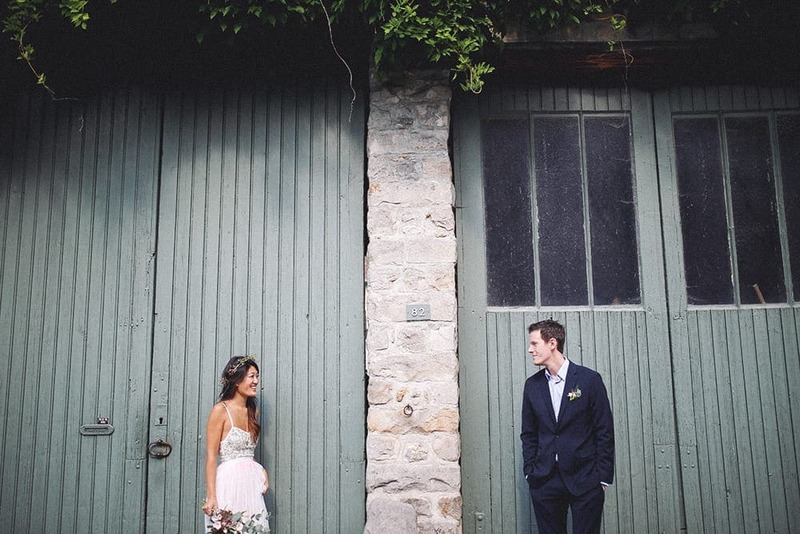 Sarah and Stanley were classy and beautiful with very little effort, and taking pictures was a total treat. 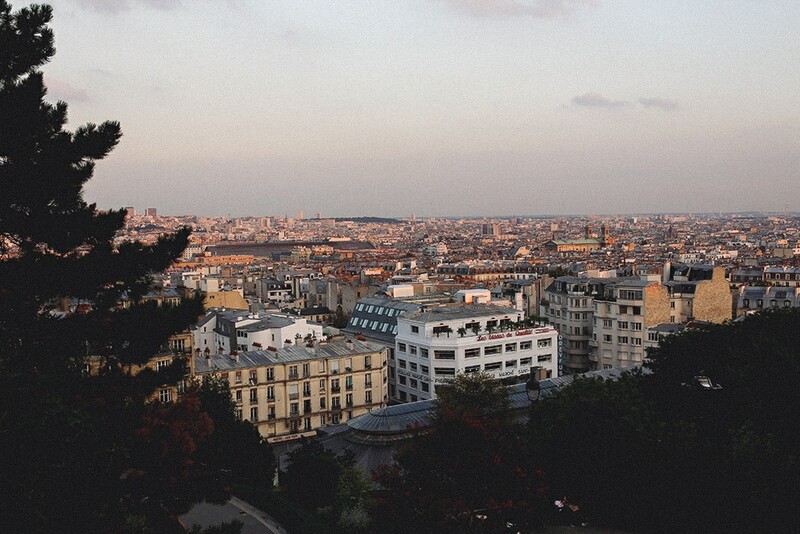 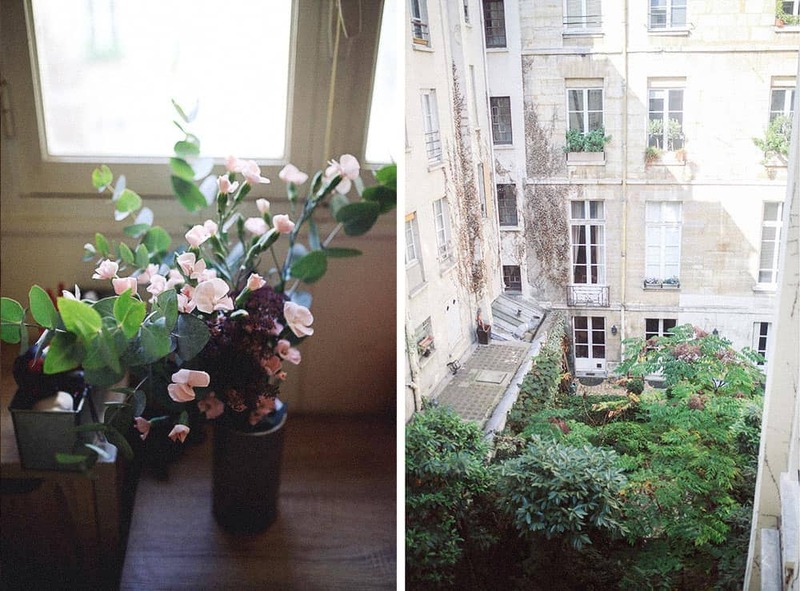 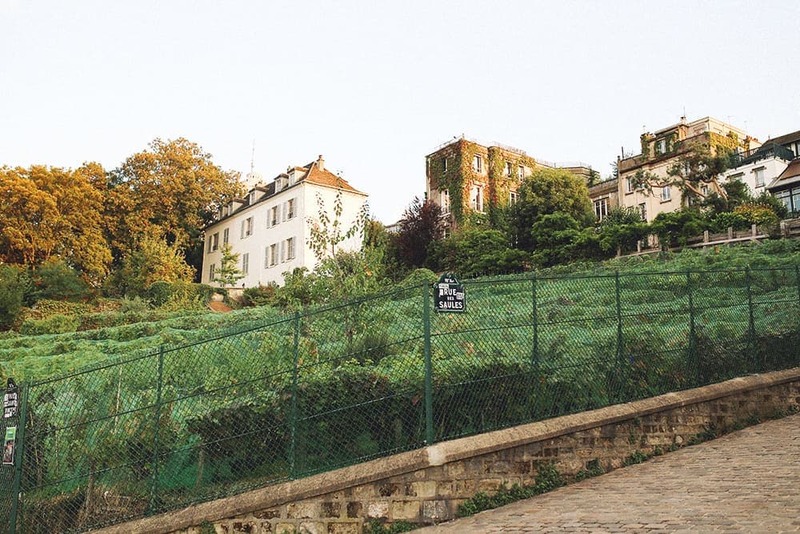 After a few hours in Barbizon, we headed to Paris where I took them to my favorite spots in Montmartre. 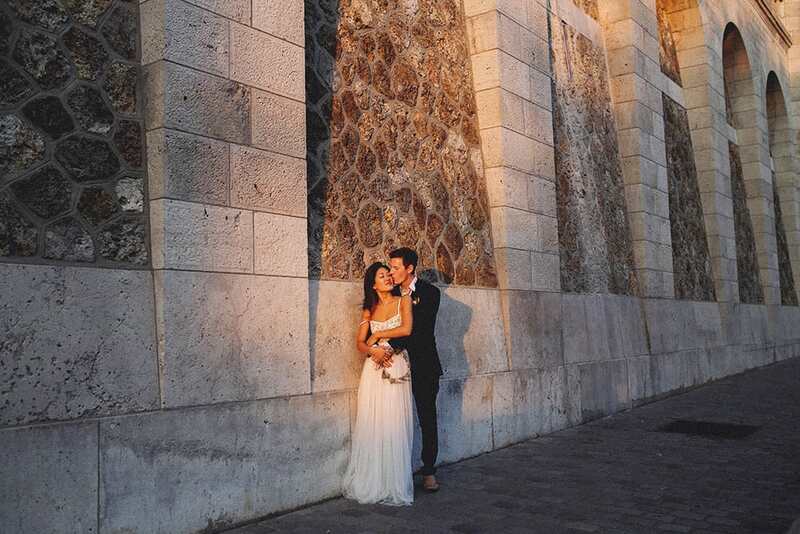 We caught the Golden Hour there, took some lovely sunset pictures, and we we said goodbye. 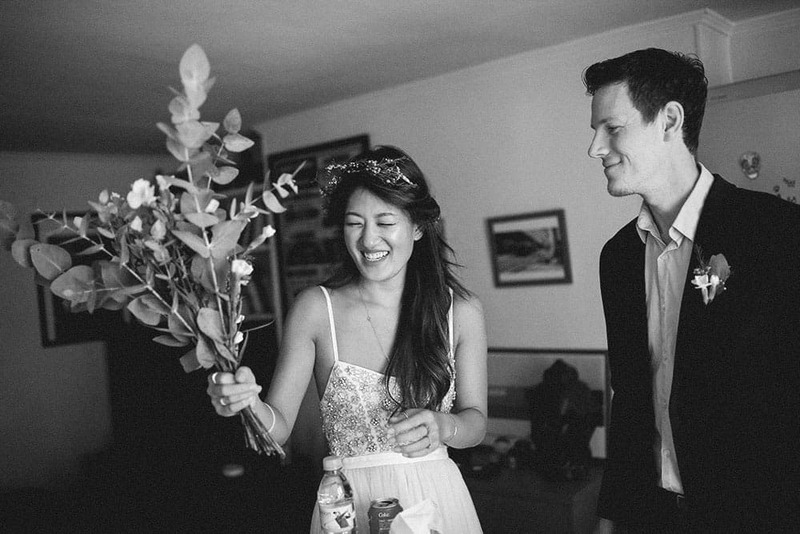 We met again in New York a few months later for some drinks and food, and we had an equal amount of fun. 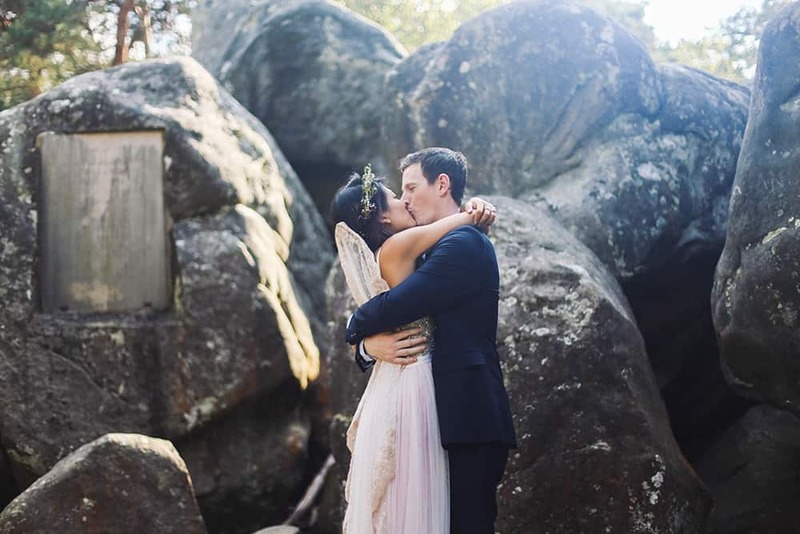 I hope to see them again super soon, but for now, I get to blog about them and enjoy reliving this day through the pictures!